Better Health Chiropractic, P.C. (Gainesville) - Book Appointment Online! At Better Health Chiropractic, P.C. 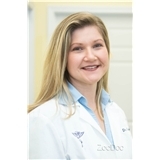 I provide patients with a non- invasive method of maintaining and restoring all aspects of health. Care is individualized where a care-plan is determined specific to each patient. My atmosphere is caring, loving and devoted to the well being of others.